If you dread family game night, you’re playing the wrong games. Educational board games are so much more than the classics we played as kids (Chutes and Ladders, anyone?). Instead of a lucky die roll, these board games require strategy, critical thinking, and even some teamwork or alliances, which will keep you and your middle school kids engaged. Everyone will have fun, spend quality time together, AND learn a thing or two along the way. What’s better than that? As a board game aficionado, I took the time to compile a list of games that I believe will boost your family game night from a snooze-fest to a night filled with strategy, fun, and learning. Although these games are acceptable for a wide range of grades, middle schoolers will get the most out of them because it’s an important age to develop critical thinking, logic, and reasoning. Make game night into an educational experience with these educational board games for middle schoolers (and adults!). Coming in at number one on my list is my personal favorite: Settlers of Catan. This board game is fun and challenging for the whole family. Skills Developed: strategic planning, an understanding of probability, spatial intelligence, and even an ability to make smart deals or trades with other players. 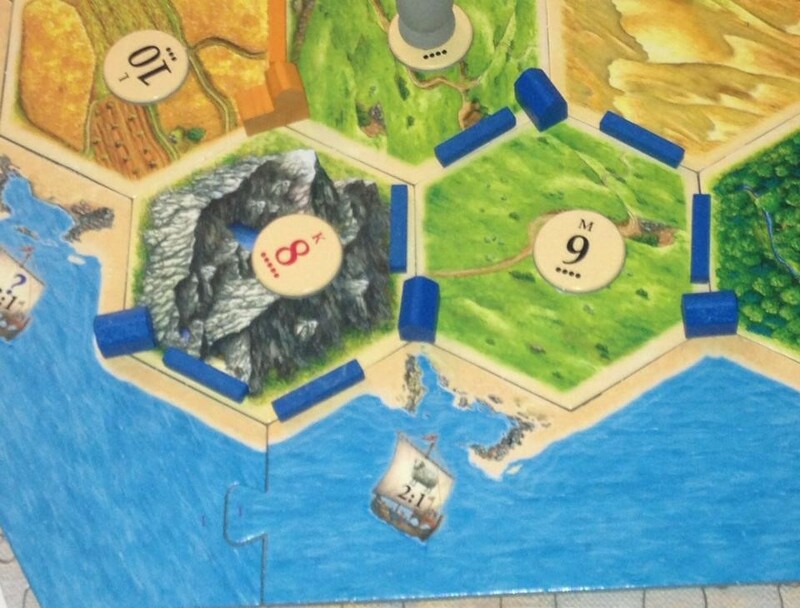 How to Play: Players must reach 10 Victory Points, which they acquire through building settlements (think Monopoly houses but wooden) and cities as well as through other achievements throughout the game. To build, players must earn resources: brick, lumber, ore, sheep, and wheat. They earn these resources through their settlements and cities—whatever the roll is (using 2 dice) for that turn, players receive the resources if they have a settlement on that block. 3 sheep resources because she has 3 settlements touching the sheep hexagon. Players must be strategic about what resources are most important to their overall game (some resources become more important at the end of the game, as well!). Players must strategize and plan ahead on what resources they have, wish to save, and think they’ll earn in the future—they also need to figure out which hexagons have a higher probability of being lucrative in resources. For example, a hexagon with a 2 would not be a good choice because it has a low probability that someone would roll a 2 using both dice. Blokus is a lot like Tetris, but much more strategic and fun for middle schoolers. How to Play: Players must get all of their Tetris-like pieces on a 400-square game board. The trick of this board game is that players cannot place a new piece adjacent to another piece; instead, the corners only of each piece must touch. The rules of this game are simple, but the strategy and visual planning are endless. This bluffing game requires creativity and will help your middle school student with their writing skills. How to Play: Players will pick an obscure word from the card deck. Players must try to fool the other players by making up definitions for this word. One player (the one who did not write a fake definition) will read all of the definitions, including the real definition, and the other players have to vote on which definition is the real one. The player’s definition that receives the most votes as the real definition gets to advance on the board, or if a player chooses the real definition, he or she also gets to advance on the board. The key to this is players must change the voice of their own writing to sound like a dictionary definition: the most convincing ones are authoritative in tone! They also have to use their critical thinking and comprehension skills to pick out the real definition. This board game’s rules are simple and quick to learn, but the strategy can be very sophisticated. How to Play: This board game is a map of North America, and players must collect train cards and claim railways in North America. The longer the railway, the more points a player can receive. A player can also receive more points by completing a Destination Ticket. The rules are simple, but the strategy can get complicated. The longer a player waits to claim a route, the more likely it is that another player may steal that route; however, players get more points for longer routes, so there are benefits to waiting. This is a great cooperative game that teaches your middle schooler about areas in the world and how we are connected globally. How to Play: Players must work cooperatively to stop the spread of 4 infections. Each player is assigned a role (i.e. a researcher, medic, quarantine specialist, etc.). These roles contribute in a special way to the play of the game (i.e. a medic can help control the spread of an infection by going to a city and healing people). The object of the game is to completely eradicate the infections. To do this, players collect cards of that infection (like how a researcher would gather research about a disease) while simultaneously making sure that an infection does not spread and become a pandemic. After each turn, players must choose a random card that will “infect” certain cities; sometimes, there’s even an epidemic. These infections can spread quickly if players are not working together! Board games are a great way to bring your family together, but they’re also helpful in cultivating critical thinking and strategic planning (which is something we really emphasize at A Grade Ahead!). As a board game lover myself, I enjoy learning and trying new games. Are there any games you play on game night that your kids enjoy? Let us know in the comments!